The next Trinity Arts Guild meeting will be on Monday, April 1st, 2019 at 6:30pm. Visitors are welcome. Guest demo artist will be watercolorist Dianne Hicks. 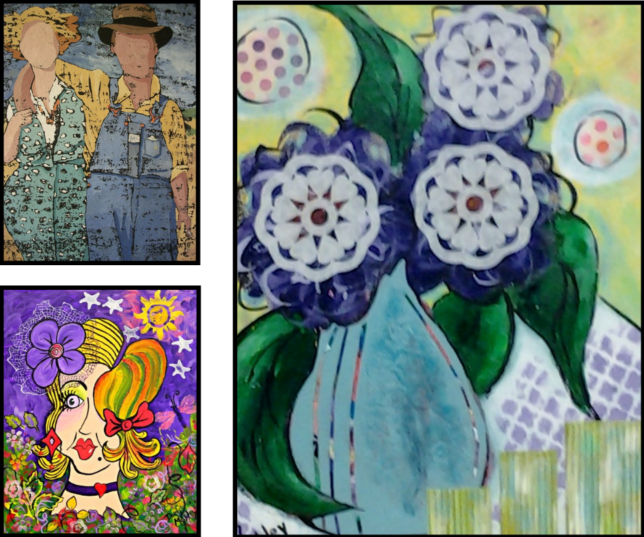 Doris Mobley will be presenting a Mixed Media Demo of For TAG in the Morning on April 10, 2019 at 10 am. I did not hear if there was a supply fee for this one but it is a good idea to bring $5.00 for supplies. Most TAG in the Morning demonstra-tions are hands on and have a small supply fee.